Since I missed my update last week, I'm gonna combine these past two weeks into one. So, buckle up! Things have been going swell here in San Pablo, new transfer means new miracles! 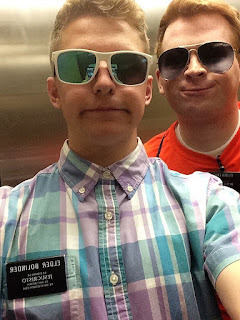 It was sad to say goodbye to Elder Calderwood. But, my new companion, Elder Cross, is great! He has already served in this area for a transfer a while back, so we've been trying to rekindle some progress with former investigators. We started teaching this couple named Silvia and Alejandro who had been investigating for about 4 years, and they are super hilarious! We left them with our testimonies of Christ and left them a picture of Him. Hoping to help them start keeping commitments again. Also stopped by this other former investigator in the area and turns out they moved. But the new Hispanic family living there let us in! There was a young mom, and her two parents from El Salvador. Honestly, I think it is the smoothest, best sounding Spanish out there! (So much better than our Americano accents lol). Unfortunately, they are moving back down to their country in a month, so they won't stay long. Okay quick funny story of the week. I swear, people are going crazy at the library! Hahaha. So we were just chilling in the library typing up our stake report one morning and this lady, probably about 40 years old, next to us listening to music just starts busting out dancing in her chair, and yelling at the top of her lungs in a dead silent library! We were like what in the world! !😂 Then, the next day we sat next to this other lady who just out of the blue grabbed my companion’s pen and starts writing a note to us like we are back in 2nd grade lol. Then she just walked away! On the note it said, “I need the church, me and my friend need help, get Bishop Foster, he will know what to do.” We were like, who is Bishop Foster? She ended up coming back into the library 20 minutes later and we asked her what the heck was going on. 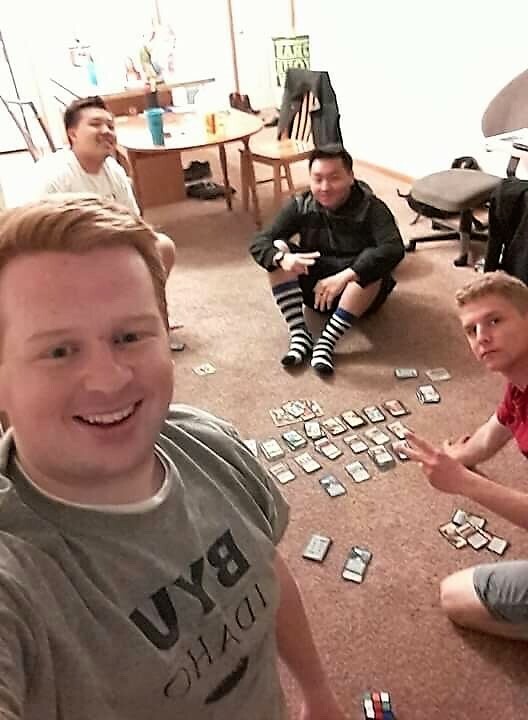 It turns out she is an inactive member of the church in St. Paul and we got her friend’s address to send some missionaries over to try to help. It was just really freaky to have her tell us that just so suddenly and on a creepy note😂 fun times! 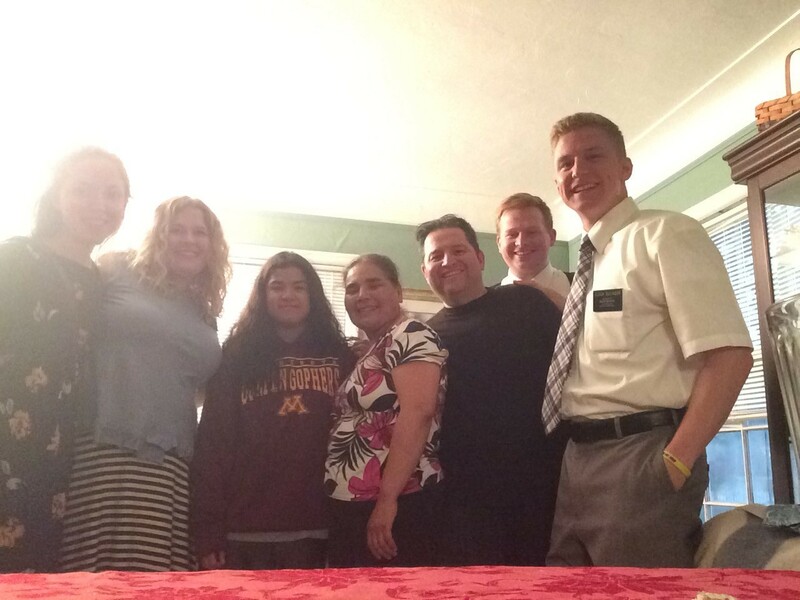 We got in contact again with a Hispanic lady who we found on exchanges last transfer named Reina and she let us in to teach her family! They have the cutest little four-year-old daughter ever! When we were sitting there, she would hide her face with her hands and play peekaboo and say, "aquí! aquí!" We had a great lesson with Reina on the plan of salvation, and when we left the little girl said to us, "please come back later!" Que linda! 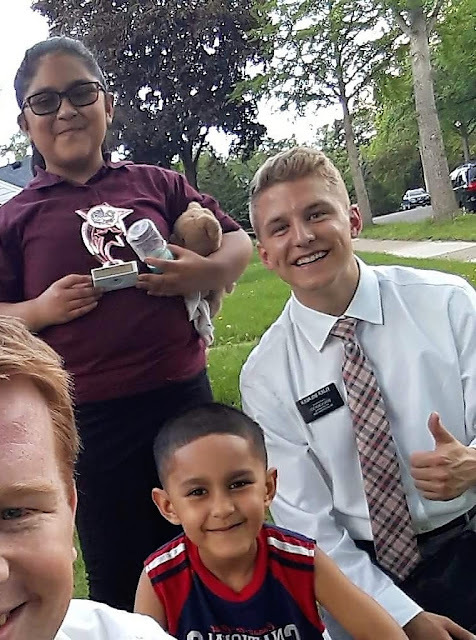 We came back the next week and gave them a Book of Mormon. We are hoping to see them progress. The Flores family is still doing really well! They've been reading and praying as a family, and we have gone over about 3 times in the past few weeks. We watched the restoration movie with Ashley and, honestly, I can't watch it anymore without my eyes tearing up! The Spirit is always so sweet, testifying of the truthfulness of the restoration of Christ's church. We also chalked-out the Plan of Salvation (and unfortunately forgot to take a picture, and it was washed away from a couple crazy thunderstorms!) and also taught about tithing. They've still struggled to come to church, and they missed this week because they were in Wisconsin or something, so we will have to push back Ashley's baptism a week or two. But we are still super pumped! Speaking of those thunderstorms, we got out of a dinner and had to book it to our car and got drenched! There were trees knocked over everywhere and streets flooded. Then literally the next day was 95 and sunny. I still don't understand Minnesota weather lol. Some other highlights from is past week - we went on Karen exchanges this week. Luckily, I stayed here so I didn't have to go eat chicken feet and spicy Thai food like my companion😂. I had a great day with an Elder Foutz from Utah, though. Spiritual giant! We also went to Minneapolis for a double baptism of investigators who Elder Cross taught. Oh, and I learned something new! Apparently the Minneapolis Spanish Ward is the biggest in the entire country!! But only because they really need to split it haha. Some other good news, our beastly recent-convert Manuel received the priesthood last week and blessed the sacrament for the first time this week! 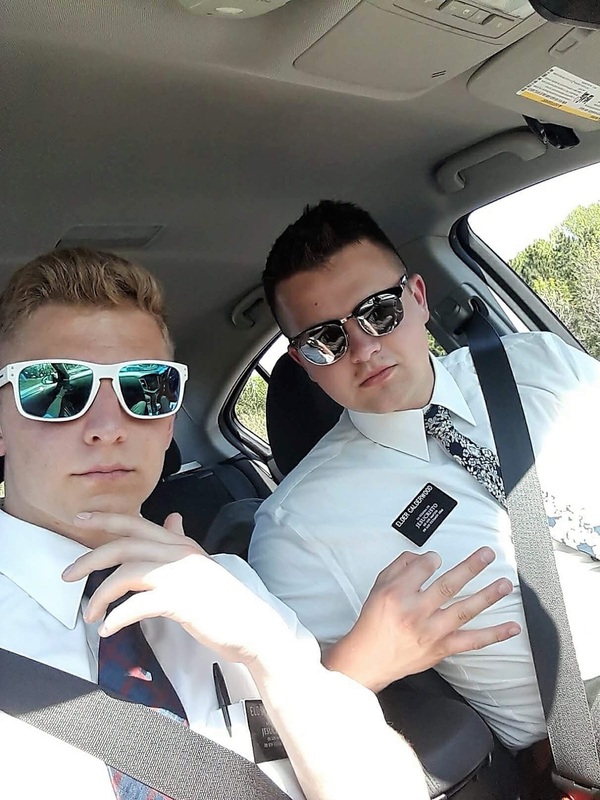 We are planning a temple trip with them in a couple weeks. We also got in contact with an inactive Hispanic lady who was converted to the gospel about 15 years ago but has had marriage and family problems. She shared about her conversion to the church, and it was powerful. Well long story short, we are teaching her and helping her to come back to church and also teaching her 11-year-old son, Manuel, who had a baptismal date last year but something got in the way, so we are teaching him again! Before you know it, we will just baptize a whole new primary for our ward😂 Also had a ward potluck last week, and guess who randomly showed up.. our investigator Johnathon!! It was awesome, we had some carne asada and played kickball. It was a blast! "Never is the power of the priesthood, which you hold, more wonderful than when there is a crisis in your home, a serious illness, or some great decision that has to be made." In our moments of struggle, we are so blessed to have priesthood authority restored to the earth again to call down the blessings of heaven! I know this power is real. The Trevino Family - "Elder" Trevino was the first Spanish elder ever in Minnesota!